Film critic and general audience reactions don’t always equate on a given movie with Batman v. Superman: Dawn of Justice serving as the most recent example of studios giving fans and the people more of what they desire in terms of content despite how critics representing widely-distributed periodicals may rip it apart later in the entertainment section. Luckily, director Zack Snyder (300, Watchmen) already developed a thick skin from the criticism he heard regarding BvS’s preceding chapter, 2013’s divisive Man of Steel—a rebooted origin of Superman that caught flack for featuring what seemed to be wanton destruction without consequences. Snyder, however, returns to direct the sequel if only to prove that Man of Steel’s famous demolition of Metropolis indeed took effect. Consequence appears first in the newly-rebooted form of Batman, now a paranoid, brawling über-detective who sees only death and destruction as a result of Superman’s alien presence on Earth. Although a flawed blockbuster that runs too long, Batman v. Superman looks like a live-action graphic novel. Director/ producer Snyder delivers on a level that remains true to source material, creating a blockbuster that explores mythical themes. The film begins in media res, specifically during the climactic battle sequence from Man of Steel, presenting a new point of view for this scene through a different protagonist—Ben Affleck’s (Argo, Gone Girl) Bruce Wayne/ Batman. From Wayne’s experience, two supremely-powered and invincible titans exchange blows in the heavens like a pair of careless alien gladiators. He’s horrified. Although Superman defeats Zod and receives “hero” status from the public for his effort, the seed of paranoia is already firmly rooted in Wayne thus culminating to the titular showdown. Snyder never asserts a definite protagonist, letting the audience decide whether Superman’s Earthly presence is apocalyptic or divine. The plot concerns Superman at every angle, however, the camera favors Batman/ Wayne, featuring the character in order to shift the focus on mankind’s reaction to a sort of being like Superman making his presence known to the world. Affleck stands out in his new role as a perfect combination of Batman from trades like Frank Miller’s The Dark Knight Returns and Grant Morrison’s recent interpretation. This Caped Crusader has the most-experience under the cowl yet over other cinematic versions, as the character mentions defending Gotham City for over twenty years—resulting in a middle-aged, unrelenting detective who happens to be a fanatical brawler/ ninja/ vigilante. 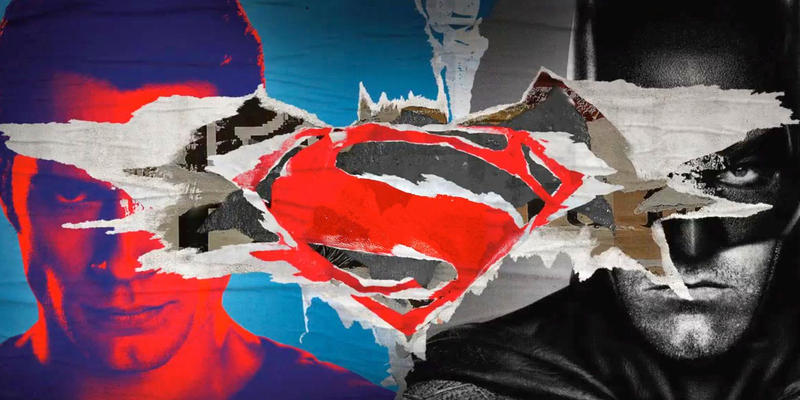 Although Man of Steel had a tighter narrative and focus, Batman v. Superman allows its returning characters to expand on their roles despite the change in point of view. Henry Cavill (The Man From U.N.C.L.E., “The Tudors”) returns to the role of Clark Kent/ Superman, but slips to a secondary protagonist role of sorts in favor of Affleck’s Wayne. Cavill’s Kent/ Superman has more opportunity to focus on his relationship with Amy Adams’ (American Hustle, Leap Year) Lois, rescuing her as Superman and romancing her as Clark Kent. Cavill plays his savior-like character with a torn quality. How can he stay benevolent for a world filled with just as many people who want to see him die as those who praise him? Perhaps Lois is the only reason he needs to be a hero? Adams’ Lane, by the way, isn’t defined or limited to love interest. While the last son of Krypton rescues children from burning buildings and dukes it out with Batman, Lois trots the globe to investigate a series of terrible events that may or may not tie back to another new character that doesn’t trust Superman, billionaire businessman Lex Luthor. Academy Award-nominee Jesse Eisenberg (The End of the Tour, Now You See Me) plays maniacal super-villain Lex Luthor with an exaggeration of his trademark eccentric rhythms. 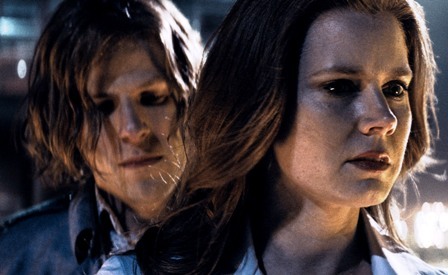 Eisenberg’s Luthor, like Affleck’s Wayne, has billions upon billions of dollars at his disposal. Unlike Wayne, however, he uses these infinite resources toward selfish, cataclysmic endeavors. Eisenberg performs at just the right level of over-the-top in terms of treading the line between comic book bad guy and believable psycho. Where Batman wants to immediately extinguish the alien threat, Luthor instead sees an opportunity for learning, exploitation, and power. This antagonist has a talent for aligning his interests with those whom he simultaneously opposes. Batman v. Superman still keeps a lot of what made Man of Steel so enjoyable. Hans Zimmer returns to score this universe and provides a menacing tone surrounding Batman in addition to the excellent triumphant overtones associated with Superman’s motif. The musical highlight isn’t heard until the third act, when the famously trailer-featured Wonder Woman rolls up with an energetic theme featuring electric guitars. Warner Bros. also sticks with their commitment to casting well-known, talented thespians in supporting roles for their motion pictures as Oscar-nominated/ winning artists comprise most of the cast. In addition to Adams, Eisenberg, and Affleck, the Motion Picture Academy of Arts and Sciences has, at some level, recognized fellow cast-members: Laurence Fishburne, Holly Hunter, Diane Lane, Jeremy Irons, Kevin Costner, and Michael Shannon. 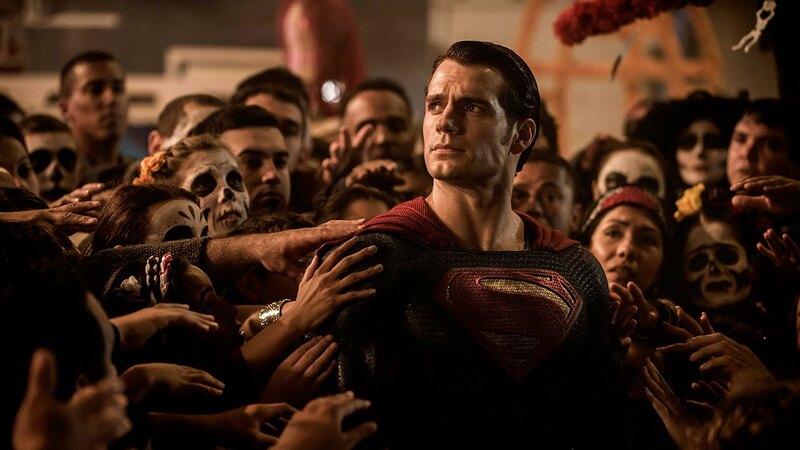 When audiences move on to the next event film, Zack Snyder’s sequel to Man of Steel will be remembered as a movie somewhere between what critics and die-hard fans decided and just as divisive as its predecessor. Batman v. Superman: Dawn of Justice delivers oodles of screen time following beloved characters from American pop culture, even though these characters get distracted into other interests that occasionally pull the viewer out of the plot. Perhaps the allusions to Justice League Vol. 1 will pay off in a year when the film debuts, but for now they just feel like hindrances which drag out the runtime of an otherwise enjoyable experience. Zack Snyder presents an epic blockbuster taking inspiration from blockbuster filmmakers like Christopher Nolan, Michael Bay, and Roland Emmerich—writing a love letter to comic book readers everywhere.